Yesterday Magistrate Pravina Raghoonandan, in a potentially precedent setting judgment, sentenced Vicki Momberg to three years in prison of which one year will be suspended. Momberg was convicted of crimen injuria in 2017. Crimen injuria refers to a deliberate injury to another’s dignity by using racially offensive or obscene language or gestures. Momberg was caught on camera hurling racial slurs and verbally abusing police officers and 10111 operators who attempted to assist her after a smash and grab in February 2016. One of the key discussions on the South African criminal justice system is how definitive the laws around crimen injuria are. How does South Africa’s understanding and conviction of crimen injuria offences compare to other countries? The precedent-setting Momberg case provides an ideal opportunity to interrogate the question of justice when harm is not physically determinable. Although Magistrate Raghoonandan admitted that her ruling was an unusually harsh sentence, the aggravating evidence against Momberg was plentiful. Magistrate Raghoonandan said Momberg used the K-word a total of 48 times with some of her utterances captured in a viral video and the others during a phone call she made to the police after a smash and grab incident. 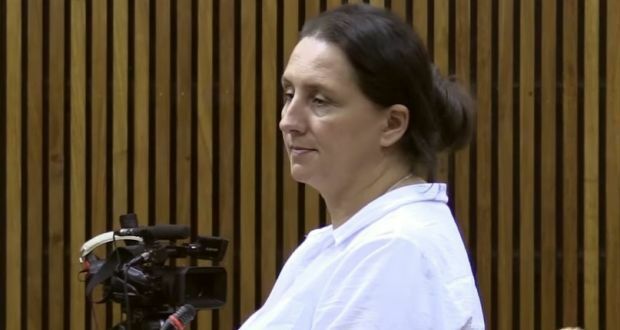 Momberg showed no remorse for her actions throughout court proceedings, which commenced in 2017. When ordered by the Equality Court in June last year to pay R100 000 in damages, to write an apology and to commit to sensitivity training and community service, Momberg appealed the order. This is also not Momberg’s first time in court for racism, she was tried for a previous racist rant 12 years ago. Similarly, in Germany – another country with a history of a brutal fascist regime - a 32-year-old neo-Nazi was sentenced to 18 months in prison for making fun of the Holocaust on social media. “Germany takes a different approach. It has no separate category of offences for “hate crimes” involving violence. Nor does it explicitly provide for higher sentences for them. But the courts can still take hate motivation into account during sentencing using general sentencing principles,” the authors of the report note. Momberg has been denied bail while her lawyers appeal yesterday’s judgement.